If you need the best exterior painters Mesa can offer, and you want it done right the first time, call the cool guys and gals over at Mesa Painting Pros. 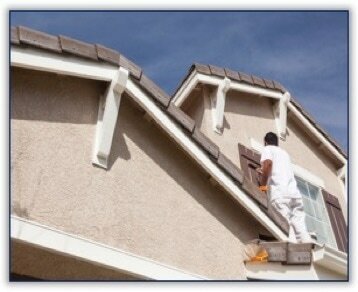 Exterior painters in Mesa have the remarkable privilege of adding to the beauty of this city. When the sun shines, it brightens up everything that’s out in the open, and when you have a beautifully painted home or business, the sun can only add to its essence. As one of the best exterior painters in Mesa, Mesa painting pros has a goal to make every paint job a friend of the sunshine. No business is the same, no home is exactly like another but what connects them all, are the people who inhabit them on a daily basis. Because people are different, the sense of style and fashion will also be diverse. There is nothing like a fresh and funky paint job to make you stand out! Own a tattoo parlor? Let us ink it like you do your own clients (of course we would be painting and not inking but hey, art is art!)! Have a childcare facility? We can make sure the little ones see the most exciting yet comforting colors everytime they drive up to the school. So you see, there is something for everyone. From the most outrageous professions to the ones that are recognized and appreciated daily, we are the exterior painters in Mesa who can deliver anywhere, anytime. Do you remember that gleeful happiness you felt when you first chose the location of your home or business? Did that feeling fade away after a period of time? Maybe you became accustomed to seeing the design and now when you drive up, you don't get too excited. We can do an exterior makeover that will help you get that feeling back! Our seven step process is simple and easy! Choose us as your exterior painter in Mesa and we will come out and give you a quote on site! Because we know that the elements of the earth have a tendency to stick to buildings, we always suggest a good pressure washing before painting the outside of your home or building (don't freak out, you don't have to find a different company for that, we can do that for you too!). After the pressure washing is done, we can move on to some tiny repairs if necessary. We will patch cracks, fill small holes and scrape off any loose paint. Next we move on to the prep work. We know how important the entire appearance of your home or office is so we do make provisions for things not being painted. We cover windows, doors, walkways, driveways, and any decorative things like plants, statues, or furniture near the building. Its easy going from there! We spray paint, then we brush paint, we clean up, and we leave you happy! Mesa painting pros is determined to become the best exterior painters in Mesa.With a history of professionalism, our reputation speaks for itself! Call us so we can make you a happy customer and a friend of the sunshine! We want to be known as the best Mesa exterior painters around and would like to add your home, office, retail store, or treehouse to our portfolio of success stories.